Part 1: What Can Be Expected for the Second Interview Questions? 1 What Are the Typical Second Interview Questions? 2 What Questions Can You Ask During the Second Interview? 7 Is This Where You Want to Be? Congratulations! You have succeeded in making it through the first job interview and they have invited you back for a second one. It may seem as though the hardest part is over but it’s not. You are armed with the knowledge that they think you can do the job, it is up to you to seal the deal. Getting yourself prepared for some second interview questions can help you obtain your dream offer. You made it to the second stage because of your qualifications. Now the company wants to make sure you will fit in. They will be looking at your personality, your sense of humor, and how you communicate with others. When you begin a new job, you are joining a family that is already established. There are certain groups of questions can be expected in the second interview. With the knowledge of these questions in the second interview, you are better prepared for the interview, thus get the offer you are longing for. What Are the Typical Second Interview Questions? 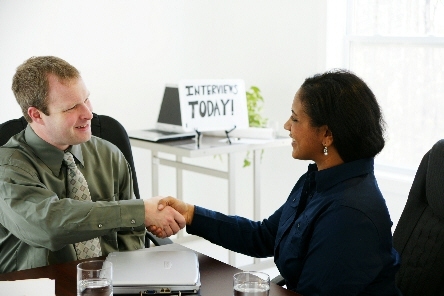 Once you have made it through the first interview, you at least know that you are qualified for the position. You may be meeting with other people who are part of the decision-making process, so be prepared to reiterate your achievements, accomplishments, and experiences again. You may be challenged with questions regarding specific situations to see what your work style is. The interviewers may also want to know how you would handle certain situations to see if it is compatible with the way they are currently being handled. You may even be able to impress them with a fresh new outlook. What Questions Can You Ask During the Second Interview? Even if you think you asked all of your questions during the first interview, you may have thought of many more afterwards. Even though you are interviewing for a position with this company, you should make sure that it is a good fit for you as well. Find out why the company has been so successful. Pay attention to the length of time some of the key players have been employed at the company. A regular turnover is not a good sign. Ask what you would need to do to be considered successful at the position you are applying for. Keep your attire conservative for your second interview. If you don’t have another outfit to wear to the interview, do whatever you can to change the look of the one you wore to the first interview. Even adding an eye-catching pin or piece of jewelry can give an outfit a fresh new look. Ask what would be expected of the position and show how your accomplishments have prepared you for such requirements. Just do not let the interviewers talk all the time, which is seen as a "Red flag". Discussing how you handle difficult situations and a positive attitude will also score points. Just let your confidence be your guide. Now is the time to be your own cheerleader. You have to find the balance between being a confident achiever and someone who feels they are already over-qualified for the job. You must sell yourself by showcasing your best qualities. Bringing them up in a humble manner will remind the employer why they have asked you back for a second interview. This is where you have to pull out all the plugs and let your potential employer know how your experience and qualifications will apply to the desired position. Problem solving, troubleshooting, and communication skills can be adjusted to fit in almost any job, so bring up successful achievements you have experienced in these areas. You’ll probably find that the person who interviewed you during the first round is not asking all the questions at the second round. You may be meeting with department heads who are only interested in the areas that pertain to them. Just stay cool, calm and collected, take a deep breath and be yourself. You may get someone who will try to trip you up with a tricky question. Stay true to yourself and answer each question calmly and honestly as they come along. That is all you can do; now is not the time to analyze why the question was asked. You’ve answered all the questions now it is your turn. You should definitely ask when they will be making a decision as to who they have decided to hire and if you will be notified either way. Even though you are interviewing for this position, you should also make sure that this company is a good fit for you. Do you feel comfortable with the atmosphere of the company? Do the employees look happy with their jobs and each other? Is this a company you would be proud to represent? Sending a follow-up thank-you letter or email is a lost art that should not be forgotten. You never know, it could be the deciding factor that awards you the job!